Flexibility is a beginner friendly class that makes yoga accessible to everyone. Stiff People, athletes or anyone with limited movement. With the use of props and pose modifications, you will discover you CAN do yoga! Leave class feeling taller and with increased mobility. In this class, we focus on building core strength. Integrating postures that focus on the primary muscles that stabilize the "core" of your body. We strengthen the abdomen, back, hamstrings, hip flexors and buttocks. You will enjoy a variety of abdominal work, back bends and twists. Session will end with a guided deep relaxation to rebalance and restore. All levels welcome. We move the body through the classical poses very slowly, gently and conscientiously. Rests are taken between poses as the body moves towards inner introspection on a physical and meditative level. This class is highly beneficial for those returning from an illness or injury, or who haven’t moved in a long time. It is recommended for those who are looking for a gentle or pre-natal class. Everyone will leave feeling refreshed and relaxed. Yoga Express is an early morning all level flow. Yoga Express is sure to get your mind and body moving throughout the day. Chest openers and core engaging exercises are a part of this 45 minute express class. Modifications are instructed while more experienced practitioners may choose more advanced postures. This practice will warm the body and fuel the soul for your day! By linking mindful movement to breath, this vinyasa class is suited for beginners and experienced students alike. This class offers sun salutations, creative sequences, mindful alignment principles and complimentary breath work associated with each pose. The class focuses on foundational postures while also building strength in the core muscle groups needed for arm balances, inversions and other postures. The emphasis is on learning the Level I Posture series, where students will be led and helped according to their needs and abilities. You will also learn important breathing exercises, which are key in restoring vitality and a balanced functioning of the inner workings of the body and mind. All sessions will end with a guided deep relaxation to rebalance and restore. In this class, we will build on your foundation, while creating a practice where you will ride your breath from one pose to the next. Increasing awareness, we will develop mindful transitions between poses as well as deeper variations while holding each pose. This mixed level class is appropriate for beginners who have an understanding of basic yoga poses as well as more advanced practitioners. Kid's Yoga teaches stillness, breathing, yoga postures and sequences through a variation of teaching techniques. Kids 5-12 will learn Sun Salutations, basic poses that remind them of different animals, play games that get the energy out then in final relaxation, they learn to be still and restful. Practice yoga to your favorite tunes and kick the volume up a notch. In this class we will breathe, flow, sweat and just have fun! Want your favorite song added to the set list? Make a request... Rock, R&B, alternative or oldies, it's all good! Taking Vinyasa Flow up a notch, this class is a powerful, dynamic and vigorous flow class. This class builds strength, increases flexibility, twists out the toxins and introduces a new challenge to your current yoga routine. In this class, you may see inversions, advanced postures and multiple variations on poses offered by our highly trained instructors. Get ready to have fun, try new postures and challenge yourself to find your personal edge. This is a Challenging class that focuses on building strength. Flowing sequences, pose variations along with longer holds will challenge your senses and deepen your practice. This mixed level class is appropriate for those who have a regular yoga practice. Discover your higher-self by integrating mind, body and soul to access the hidden secrets of the super-conscious mind reaching your optimal potential. Activate the meditative faculties of the mind to release stress, develop higher brain functions, connect with the higher-self in order to reach your true potential by restoring the body, mind, and soul to a state of natural relaxation and bliss. Participants of all levels are welcome to this restorative, insightful and meditative class facilitated by Mindfulness and Meditation mentor Eduardo da Silva, who uses a practical approach to help you expand the mind, relax the body, and strengthen your personal powers. 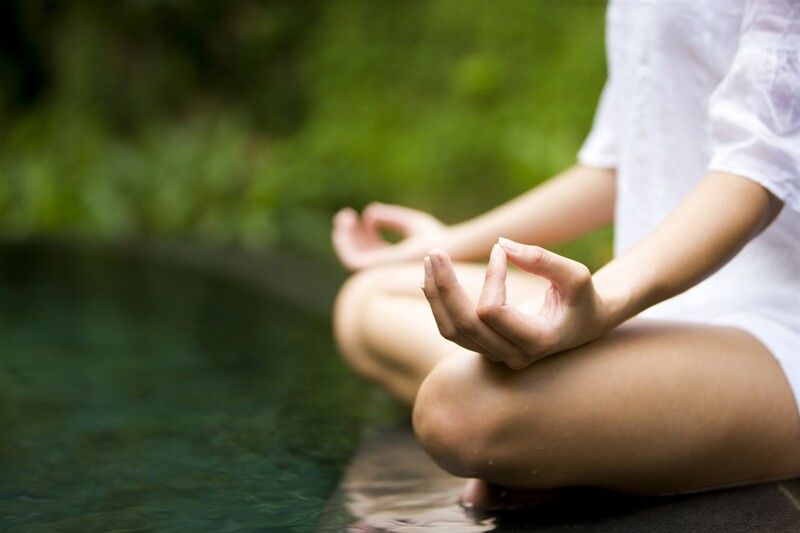 During this class we will combine guided meditation, and gentle stretching to release tension. We will practice breathing techniques to purify the body and sound relaxation methods to reach deeper/higher states of consciousness. No experience is necessary. We will explore a variety of meditation and mindfulness techniques using a simple and easy to understand methodology that integrate and adapts ancient and contemporary practices for modern yogis and layman alike.